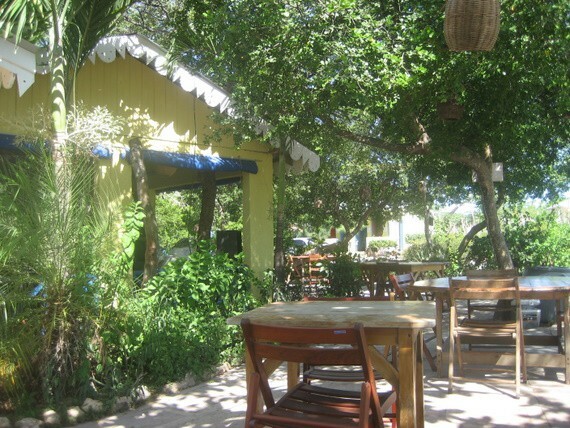 Here’s a list of 10 great places to eat in Treasure Beach, Jamaica. I haven’t put any contact info as pretty much everyone in Treasure Beach knows where these places are. Treasure Beach isn’t a big place! Prices at pretty much all of these places are very reasonable. 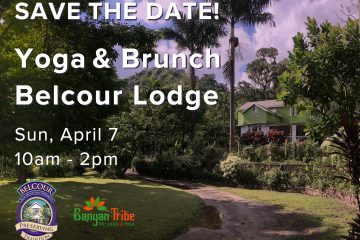 Smurfs – Smurf’s specialty is providing a really great Jamaican breakfast with their own home brewed coffee. 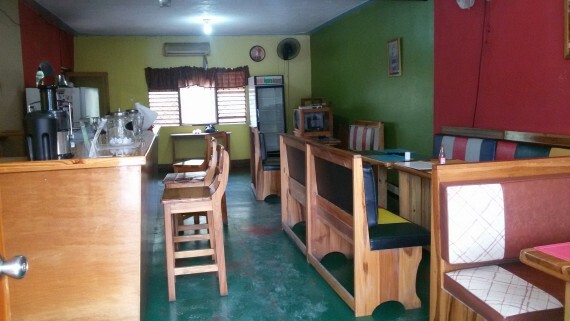 Smurfs offers a laid back vibe with great Jamaican food and is popular with locals and tourist alike. You can also buy their roasted coffee beans sourced from farmers in the area. Smurfs will also do lunch and dinner on request and will cater for groups on request. 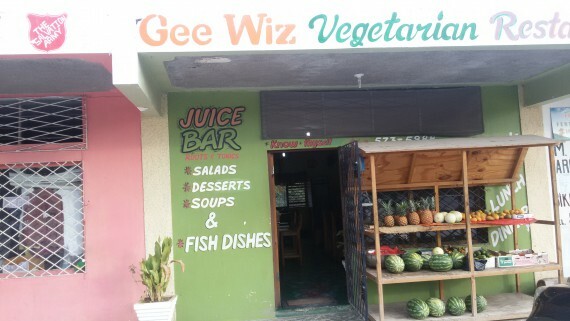 Gee Whiz Vegetarian Restaurant – Huge servings of really really delicious vegetarian food + great prices too. 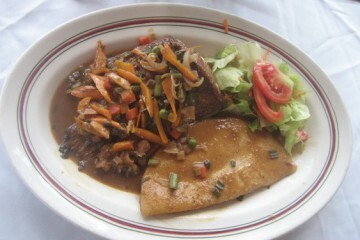 Jake’s – Good varied menu of Jamaican dishes meets international cuisine, prices higher than other local spots but still reasonable. 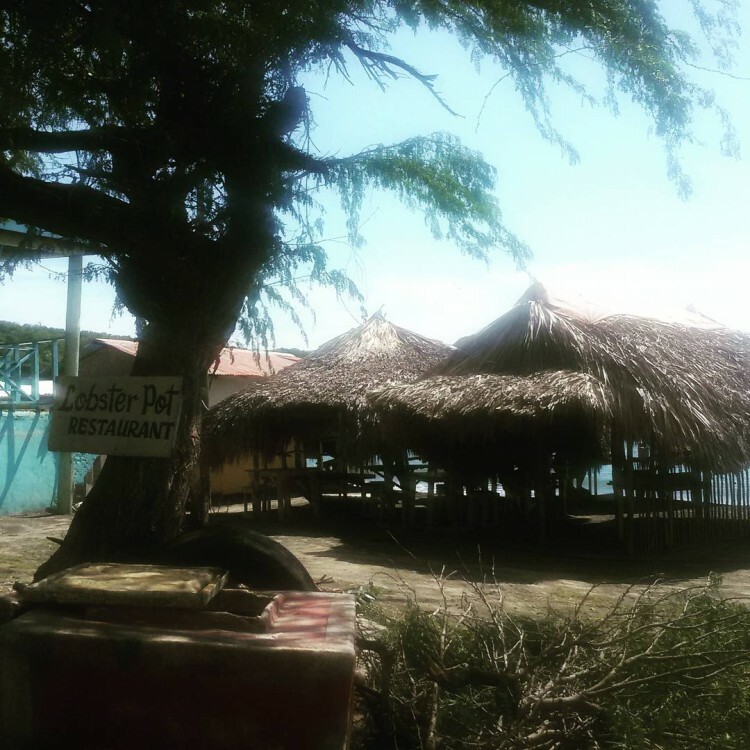 Jack Sprat – Laid back seaside eatery with great pizza and conch soup, plus lots more! Lobster Pot – On the beach rustic spot featuring great lobster dishes and a lovely view of the sea. 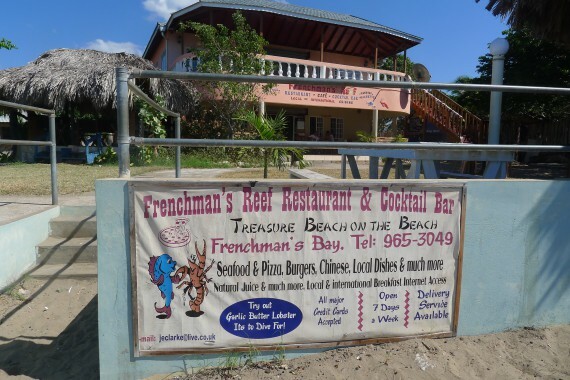 Frenchman’s Reef – Seaside restaurant with extensive menu, also great pizza and rum punch. Pardy’s – Coffee shop vibes with good food. 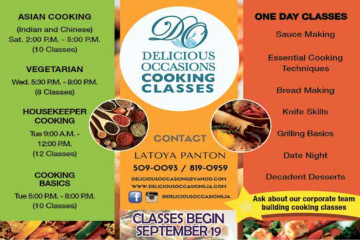 Diner’s Delite – Right across from Frenchmen’s Reef – great Jamaica breakfast lunch and dinner. Sunset Resort and Villas – Great breakfast, lunch and dinner with an awesome view of the ocean! 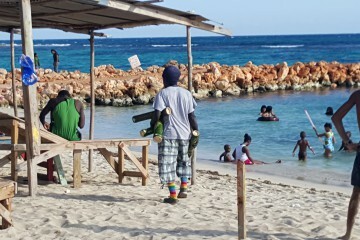 Irie Rest Guest House – Also has a food spot in Billy’s Bay. 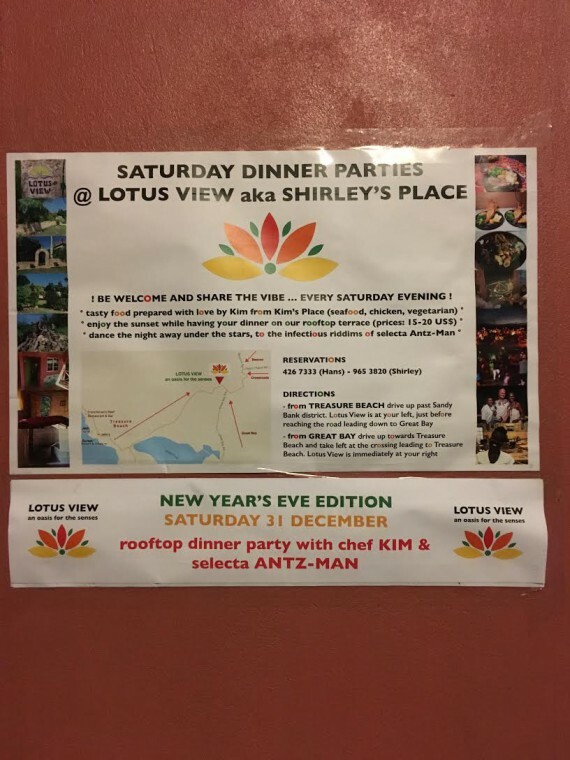 Saturday Dinner Parties at Lotus View AKA Shirley’s Place – Weekly dinners in an open air environment. Great food and service! I think this is only during the tourist season, i.e. till end March. Feel free to add your comments and suggestions about where to eat in Treasure Beach! A NEW PLACE! Singing Chef in Billy’s Bay – Great Food and really great music by the Singing Chef!!! Also, new spot I just discovered in Billy’s Bay, right next to the church, I think the name is Ceri’s but anyone in Billy’s Bay should know about it. Didn’t eat there but looked great! Thanks Axel! I hope Strikey’s is open – I’ll find out this w/end. Hol a Vibz was open up to a month ago – are they closed permanently or just for the summer? I’ll check on them too! I can’t believe that you did not include the restaurant at Sunset Resort. Great breakfast, lunch and dinner. Hi, yes, Tom, you’re right! I’ll add Sunset! They do have great food! Thx. !